Jam with the Gods of rock at the music-filled annual festival this month of May. The annual Sueños de Libertad rock and roll festival roars back to Ibiza Town for 2018 next month - 17-19 May. As always, expect an amazing array of Spanish and European talent presided over by the ‘godfather' of rock photography, Baron Wolman. Tickets are priced either for each day of the concert or you can get a great value three-day ticket for just €40. The festival kicks off with a night of acoustic concerts on the rampart of Baluard de Santa Lluica in Ibiza Town. 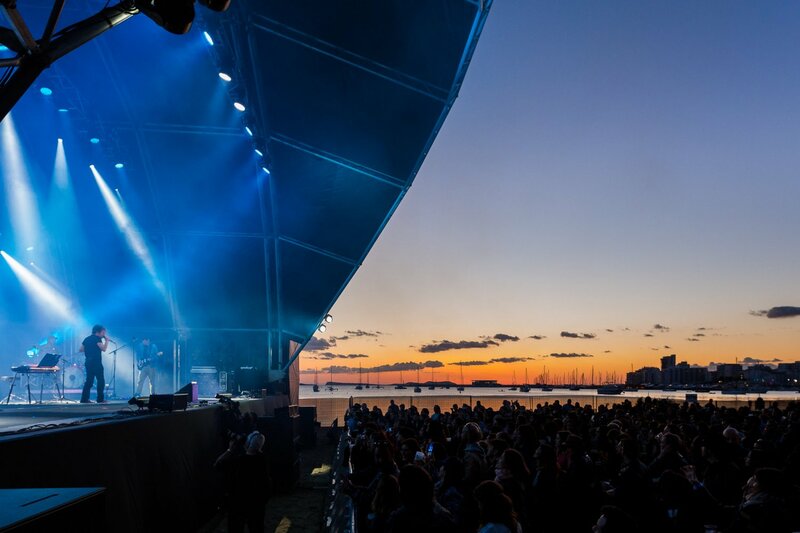 Then it's off to the Port of Ibiza on 18 and 19 May for a jolt of high-energy performances from the bands' and musicians' line-up - all bringing their own cultural heritage to the stage. You will be simply spoiled for choice when you want to rock. Headliners The Original Wailers, popular Spanish rock favourites Loquillo and Flamenco fusion artist Juanito Makande are sure to draw the big crowds and rock the stage. More alternative artists like Vurro and Iseo & Dodsound with the Mousehunters are in the mix and all are just a few in the line-up of over 22 artists taking part in the festival. Baron will be honoured this year by having the square of Plaza del Parque temporarily converted to Baron Wolman Park from 14-19 May. A free photography exhibition, Dreams of Freedom, on display in the square, will showcase Baron's vast and varied body of work, including many famous rock musicians from the summer of ‘69. Rolling Stone magazine covers and photos from the first Woodstock will take centre stage, capturing emblematic moments from a defining generation with featuring icons including Janis Joplin and Jimi Hendrix. This festival really will rock, so check out tickets today and get ready to go wild. Note: Sueños de Libertad website in Spanish only.